Every once in a while you stumble on a sauce that is so delicious, you want to jump into it and swim around. 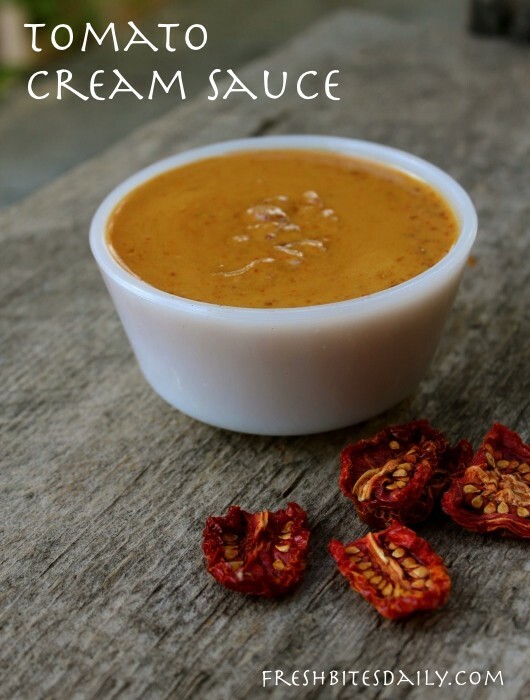 Here is the kind of sauce you chase around the plate with a piece of sourdough to be certain not to miss a drop. When the sauce is drop-dead simple, taking less than five minutes to put together, then you want to tell the whole world about it. This is one such sauce! The fascinating little recipe collection from Just Tomatoes has inspired me for the last two decades. How have I not tried this sauce sooner? Maybe it was the lack of good fish for pairing with the sauce. Recently we’ve been blessed with some lovely sea bass. Our fishy abundance has encouraged some experimenting and recipe adventures. 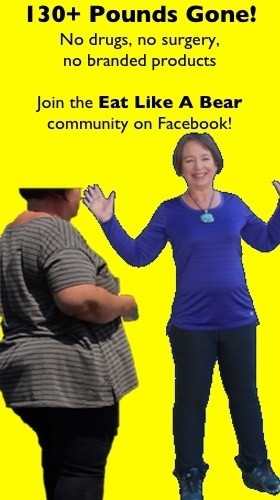 Suddenly, this particular recipe cried out to be noticed. The original recipe calls for sun-dried tomatoes preserved on oil. We had tomato powder from last season that I was attempting to use up before the present season’s batch was ready. Tomato powder is perfect for sauces. While it was fish that inspired making this cream sauce, I want to assure you that you will be finding many uses for the sauce — so many uses that you will want to plan for leftovers any time you make the sauce. Enjoy this tomato sauce on beans, grains, baked potato, omelets, steamed or roasted vegetables, and crepes. 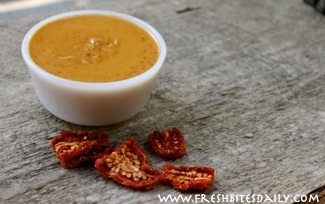 The leftover sauce keeps nicely for up to 4 days when refrigerated in a container with a tightly fitting lid. Reheat leftovers over low heat. Stir frequently to avoid scorching. Pour the cream into a small heavy-bottomed saucepan. Sprinkle the tomato powder over the cream and mix in to ensure there are no lumps. Add the garlic, salt and wine. Stir to combine well and place over medium heat to bring the mixture to a simmer. Turn heat to low. Simmer until the cream is reduced by about 1/3 and the sauce has thickened a bit. The simmering takes only a few moments. 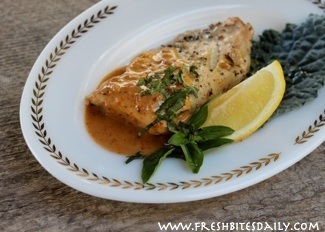 If you are using fresh basil, add it to the sauce just a few minutes before saucing the fish. The basil will stay brightly green while adding a burst of flavor to your sauce. If all you have access to is dried basil, use one rounded teaspoon and add the dried basil to the cream mixture at the beginning of the cooking process. Flavor in dried herbs takes longer to access than the flavor of fresh herbs. Plate your cooked fish with sauce on the top. Offer a pitcher of extra sauce on the table. Everyone will be reaching for the pitcher as they eat their way through the fish entree.